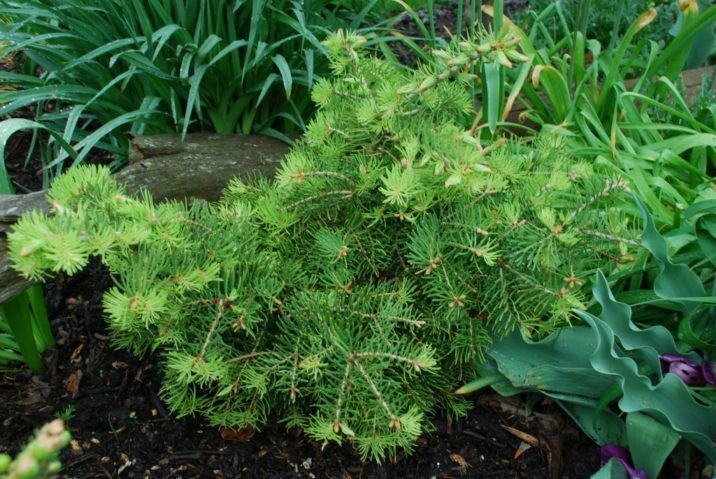 Abies concolor 'Scooter' is a dwarf plant with a very dense growth habit, making a squat round bun with horizontal branches. The new foliage comes out yellow, later turning to green with yellow tips. Found by Jerry Morris as a witch's broom near Silver City, NM, USA. Beautifully light yellow-green bun of a broom. Found in a tree at 9000 feet (2743.2 m). on a pass east of Silver City, New Mexico. Very tight broom found very high in the tree. This plant is one of the Jerry Morris Rocky Mountain Collection. Abies concolor 'Scooter' 6 year old plant.